The most common mobility issue in dogs is osteoarthritis, also called degenerative joint disease (DJD). And while arthritis is primarily related to aging and is more prevalent in large and giant breeds, it can affect dogs of all ages and sizes, male and female. Unlike people, dogs can't tell us where or how much they hurt, nor can they seek relief for their pain. That's why it's up to us to stay alert for signs of discomfort, as well as subtle changes in a pet's habits and behavior that might also signal a problem. Most people are aware that a dog with arthritis may limp, is likely to move more slowly or stiffly and can have difficulty standing up after lying down. But there are other, less noticeable signs that dog parents should also watch out for. Full Body Shake: Dogs typically do this when they're wet or to get rid of excess hair. For obvious reasons, a full body shake will be difficult or impossible for a dog who is stiff and sore with arthritis. What You Can Do: You'll want to help your dog through regular brushing sessions, and towel drying after a bath or swim. Their Rear End: Many dogs also clean the area around their backsides and genitalia, which will be less likely for a dog with joint problems. 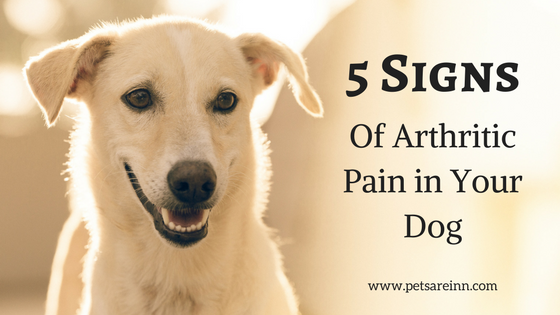 Also, arthritis discomfort can prevent your pet from getting into the proper posture necessary to pee or poop, which can result in self-soiling. What You Can Do: Make sure to check your pet's back end and undercarriage regularly and help with cleanup if necessary. Nails: Dogs with painful arthritis don't move around as much healthy dogs, so their nails tend to grow longer, faster. This can make walking even more difficult for a dog already dealing with mobility issues. What You Can Do: Be sure to clip your dog's nails on a regular basis to keep them short. Your dog may begin eating less not because she isn't hungry, but because there's a problem getting to her food bowl. A slippery floor, a staircase or a long walk to the bowl can make getting a meal a bigger challenge than she can handle comfortably. 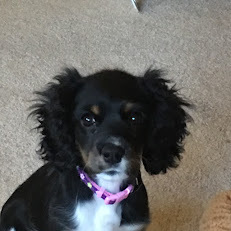 What You Can Do: Make sure your dog's food and water bowls are located in a spot that's easy for her to get to, and if you have hard floors, put a small mat or rug down to stabilize both bowl and dog. Also consider raised bowls if your pet seems to have difficulty bending down. One of the hallmark signs of progressive DJD in dogs is a decrease in physical activity. 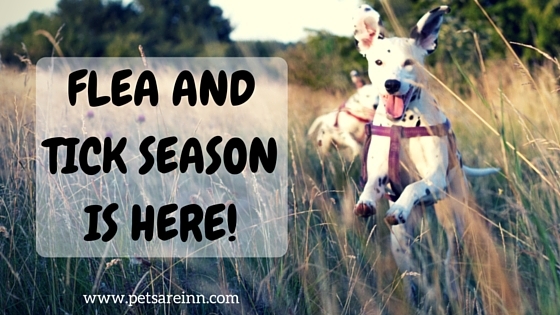 Your dog may be less playful than he once was, or he may not want to travel as far as he used to on your daily walks. If he loves to play fetch, you may notice he seems to be tiring out before your arm does. What You Can Do: Since exercise is important for every pet, even those with arthritis, be sure to continue to get your dog out for a walk or a visit to the dog park every day while respecting the decrease in his energy level and endurance. Because your dog can't get around as effortlessly as she once could, you may notice changes in the way she interacts with you. For example, she may no longer be waiting at the bottom of the stairs to greet you when you come through the door. She may not shadow you from room to room anymore, or jump up next to you when you sit in your favorite chair. What You Can Do: Make the effort to go to her when she doesn't or can't come to you. For example, make a point to find her and greet her when you come home. Place a comfortable dog bed on the floor in the rooms where you spend most of your time. Slippery hard floors can be intimidating for a pet with mobility issues, so be kind to your dog and put down carpet runners and area rugs so she feels confident navigating around your home. For dogs with fuzzy paws, Dr. Buzby's ToeGrips are also beneficial for many dogs. 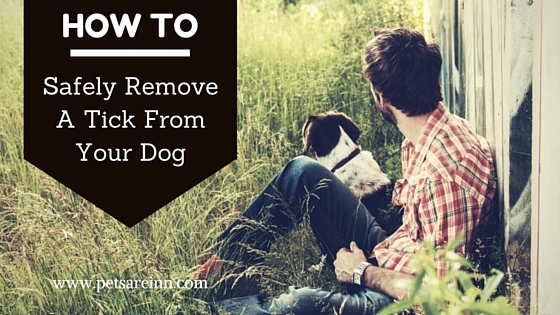 If your dog is uncomfortable much of the time, he'll probably show some irritability. If the pain is allowed to persist and worsen, he might even show some aggression if he's bumped or jostled, or if it hurts when you pick him up or try to move him. A dog who has never shown aggression and suddenly does so is definitely suspicious for a painful condition. Typically, dogs who behave aggressively due to pain only do so when sore joints are handled or manipulated, or when they're being forced to move in a manner that is painful. What You Can Do: When possible, avoid touching sensitive areas or joints. Situations requiring extra caution include when you're lifting your dog, and when there are children around who might accidentally bump into or fall on him. The best thing to do is just be aware and careful. This is a fantastic article. People often don't walk their dogs and then if they get the these illnesses, its a disaster.